Colorado Centre Metropolitan District offers trash service to our residential customers. The District has contracted this service through a local company, Bestway Disposal. As the District collects and submits the revenue from this service to Bestway, Bestway Disposal provides a substantial discount (approximately 50%) to all residents in Colorado Centre. Trash Service is $14.50 per month and is invoiced on your water/wastewater billing. Trash is collected weekly – every Thursday. Bestway suggests that your trash is placed at the curb no later than 7:00 a.m. After the toter is emptied, it is your responsibility to place the toter in a safe location (away from the wind and traffic). Note that trash collection is delayed one day during the weeks of Thanksgiving and Christmas. Boxes will be collected at no charge if the box is BROKEN DOWN. If the boxes are not broken down, Bestway will charge twenty-five to fifty cents per box. Procedure for unusual or large items: Resident needs to give CCMD a call and let us know how large and a description of the item(s). CCMD will call Bestway to get an estimate on how much extra it will cost. Resident will need to pay (either at CCMD or driver will collect at your door) before the item will be collected. The TOTER provided to customers is the property of Bestway Disposal. Damage to the TOTER, other than normal wear, may result in a replacement fee of $60.00. Once again, thank you for your support and patronage. We are pleased to be able to provide this service to you. 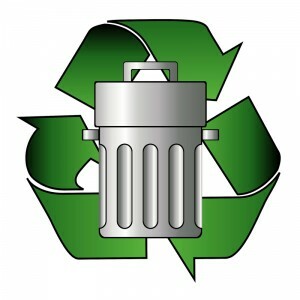 Residents may sign up for Recycling Directly Through Bestway. Call Bestway at 719-633-8709 to set up this service. The cost of $60 a year (in advance) must be remitted directly to Bestway Disposal.